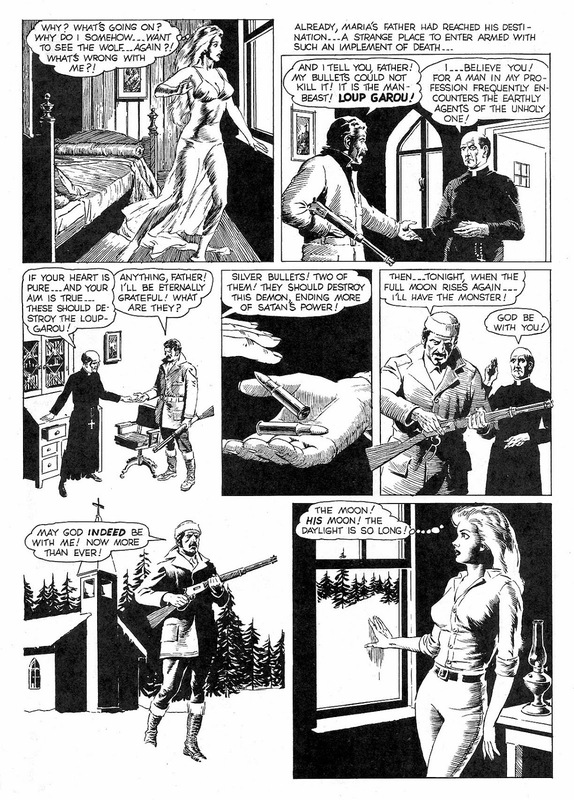 I present to you yet another expertly crafted work of horror by the legendary Golden Age artist Reed Crandall. 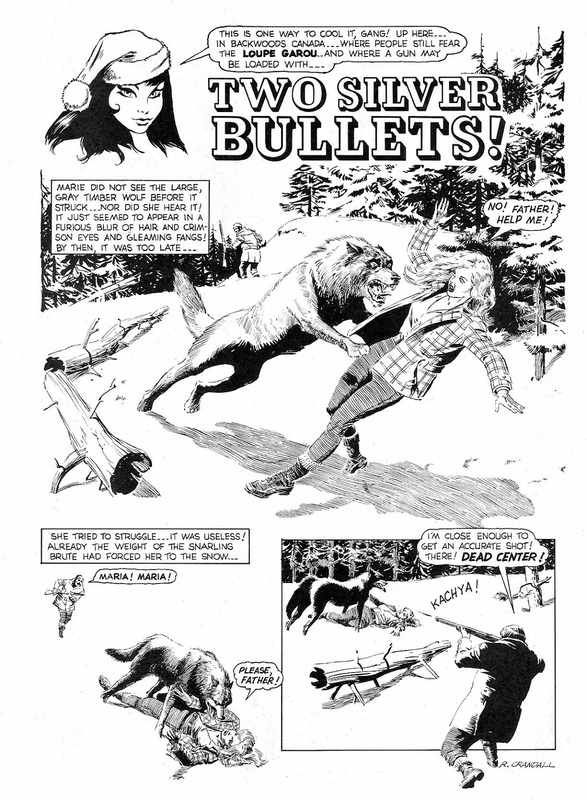 "TWO SILVER BULLETS" first appeared in Warren's VAMPIRELLA #1, 1969. Written by Don Glut, our story involves the cold, snow-covered woods of Canada, one man, one woman, and, of course, there's a wolf. You will discover that when werewolves are involved, one silver bullet just might not be enough! Wow! What beautiful artwork, huh? just click on his name below!